If you are feeling the chill in your static home we have the answer. At Fastlane Autocare, we have been involved with static caravan repairs and installing underfloor insulation for over 20 years. In that time we have offered a great number of services to a large number of static homes within the North West and North Wales areas. We cover North Wales, Mid Wales and the North West. 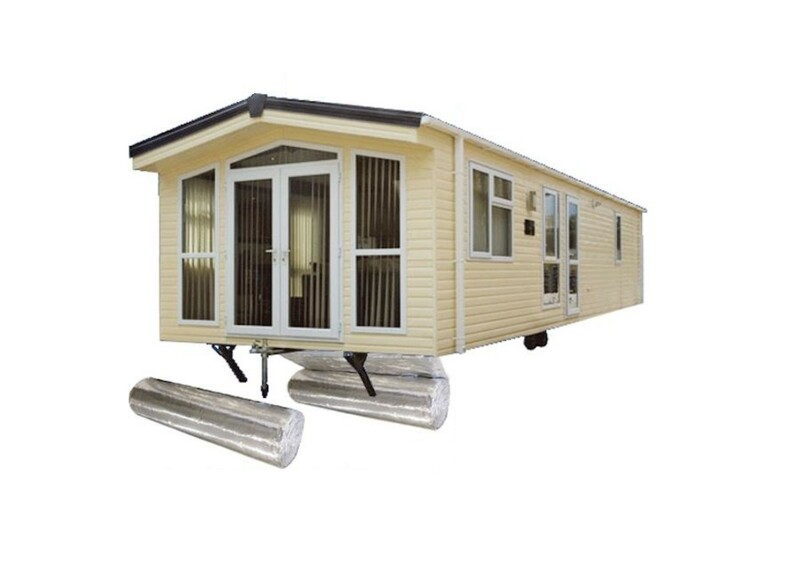 If you are looking at used or new static caravans you might find that there is no underfloor insulation. Although manufacturers install underfloor insulation in some models as standard, you should check before you buy whether the van has it or not. If it hasn't It’s not the end of the world. If there is no underfloor insulation it can be installed with us. If you are ordering a particular model of static caravan it will often be offered as an optional extra, usually called a “Winter Package”. Why should a static caravan have underfloor insulation? It’s really about making your static holiday home more energy efficient, saving money on energy bills, keeping you warm in the winter and helping reduce condensation. We offer an underfloor static caravan insulation fitting service across the whole of the North West. We have the answer to all these issues. Give a member of our team a call today! Helps to keep the warmth within your caravan. Reduce money on heating your static caravan. Increase the comfort of your caravan. Reduce the risk of rodents nesting. Resists the passage of moisture. Reflects the heat lost through the floor back into the caravan, ultimately making your caravan hold its heat longer. Prevents cold air penetrating the floor, by reflecting cold air away from your caravan floor. When fitting the insulation to the underneath of your caravan, we make sure that all vents are cut round and clear ( we carry out vent checks prior ). We do not interfere with any pipework, and all caravan floors are tested and checked for dampness before application. All we ask is that there is as much room as possible for us to access the underneath of your caravan. A lot of static caravan parks experience high levels of groundwater and this means that moisture underneath your van can cause problems inside. This will also make your caravan feel cold and begin to give off a musky smell if it permeates through the floor. This causes much more moisture in the air resulting in more condensation and therefore making furnishing, rugs, walls and sills damp. There are few people who do not know the problems condensation can cause but the black mould, once it takes hold, will not only damage clothes and soft furnishings but also is the devil of a job to eliminate. Heat is attracted to cold floors, so even when you have your heating on, you will feel less warmth because a floor without underfloor insulation will draw the heat to it preventing the heat from circulating around the van. There will always be warm air leakage in a static caravan that doesn’t have underfloor heating and it will escape through the gaps where pipes exit the van, usually through the floors of kitchens and bathrooms. An installation of underfloor insulation will dramatically improve this problem. We offer static caravan underfloor installation in Manchester, Chester, Liverpool, Cheshire, Wirral, Bosley, Leak, Lancaster, Blackpool, Fleetwood, Formby, Southport, Banks, Lytham, Morecambe, Stockport, Macclesfield, Knutsford, Crewe, Congleton, Tarporley, Northwich, Frodsham, Preston, Heysham, Middleton, West Kirby, Towyn, Rhyl, Colwyn Bay, Conway, Llandudno, Talacre, Abergele. No matter where you are in the North West & North Wales we are just a phone call away.